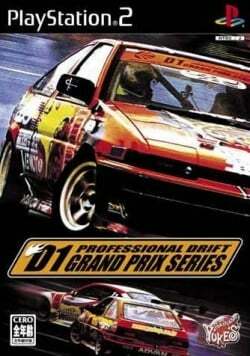 Game description: D1 Grand Prix recreates the exhilarating art of drifting, including all the cars, tracks, drivers and physics that has made the D1 Grand Prix the pinnacle series in drift racing. Players select from 39 American and Japanese drivers, as well as vehicles from Toyota, Honda, Mazda, Subaru, Pontiac, and more. 13 Driving Circuits from past D1 competitions including Odaiba, Tsukuba Circuit, Autopolis, SUGO, Fuji Speedway, Irwindale, and more. In-depth tutorial teaches players the art of drifting. Official D1 Grand Prix car stats, rules, racers and racing circuits. Compete in both day and night, clear or rainy day races. Enhanced commentary engine lets players hear what the three judges have to say in real time. Six modes of play: D1 Series, X-Treme, Time Attack, Survival Mode, Battle Mode, D1 Theater (unlockable movies of actual footage of the D1 Grand Prix, as well as in-game replays of the players' best runs). Runs above full speed. Must have EE clamping set to full or ingame is missing all graphics apart from HUD. Physics feel extremely sensitive. This page was last edited on 28 February 2018, at 20:23.